Are you looking for that perfect wedding suit that you can use on your big day? Every man deserves to have some suave during that day, as your bride will certainly look dashing on her wedding gown too! Groom and wedding suits most often go as a three-piece suits, slim and skinny fit. Two-piece regular suit is fine too. Choose something that best suits you. On your big day you need to look representative and different. Don’t be afraid to choose what you find sharp and illustrative. Stand aside from the crowd, impress with your look. You can choose whether you would like to have a two or three piece suits in different styles and colors. Your option on wedding suits while allow you to represent your personality, together with the choice of shoes and accessories that you can add to your outfit’s character, thus achieving a more bespoke and customized look. 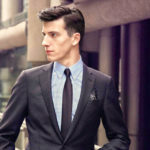 Whether you are choosing a wedding suit as the groom, or any role in a wedding event, looking your best will certainly make this big day successful. True, there are a lot of men suits that are offered online. However, not all of them are a good match for you on your wedding day. There are different colors that you can definitely choose from, preferably one that will complement your wedding motif. This three piece suit is available in charcoal black color. It is made of doeskin fabric, and perfect for wedding events during autumn and spring. This wedding suit is highly customizable, which means that upon ordering, a confirmation will be sent in order to come up with the best fit. It received a lot of positive reviews from people who ordered it online. In fact, more than 75% rated it as perfect. Just don’t forget to check the right size. 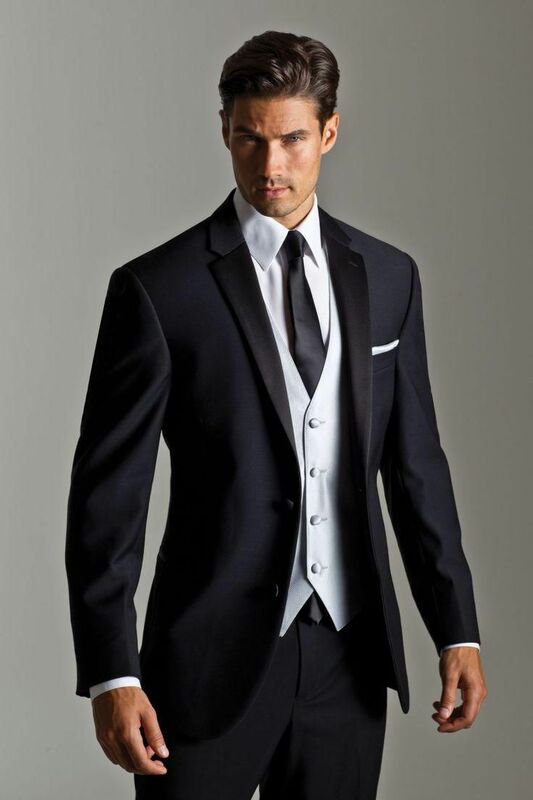 This wedding suit/tuxedo comes in a navy blue color. It comes with a single button closure, which is perfect for weddings on any season. It is a three piece suit that is custom made, allowing you to ensure a perfect fit. The real issue about this suit is the size. Make sure you check the correct size by using the size chart next to it. Otherwise, it’s cheap and affordable, good deal for the price. This wedding suit is completely hand-made. The complete package includes jacket, pants, vest and tie. Made of polyester and cotton, which means that it is only good for dry cleaning. This is another wedding suit that you can choose from, depending on our overall wedding preparation. Classic two-piece suit that features two-button closure, rear venting and notched lapel. It has a stunning slim fit design. 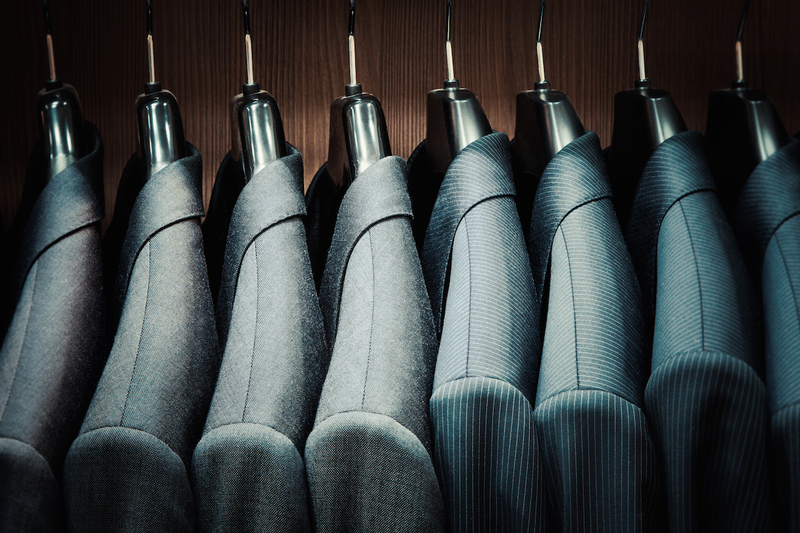 You can fit the suit true to the size, and cut quite differently compared to the standard regular fit suits. You have the feeling that this suit hug the body tight. Thus giving a slimmer, tighter and modern look. As a suit that is made of polyester and viscose, this is only recommended for dry cleaning. Available in different colors and style shapes. Rated as a very good product overall, the price is fair and affordable, too. This suit is perfect for year round use business and wedding events alike. As a three-piece suit, it comes with a vested modern fit men’s suit, single breasted, two-button and dual side vent jacket. It also features flat font pants with a 6-inches drop. Keep in mind that the suits are listed in US sizes, which means that if you are purchasing from Asia, you can order two sizes down. It also comes with a modern fitted cut and look, flap pocket, notched lapel. It comes with 5-button matching colored vest with 3 outer pockets, as well as an adjustable belt at the back of the vest. Now you have the opportunity to look your very best on your big day. As shown above, there are different options that you can choose from, ranging from classic styles to modern stylish wedding suits. Aside from being the groom, you can also choose these wedding suits if you are the best man, father of the bride, or even an usher for that very important event. 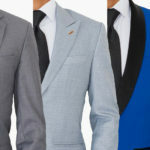 At the same time, these wedding suits can also be customized, making sure that you can fit well into your selected suit. Thus, allowing you to enjoy not just elegance, but also extreme comfort on your big day. 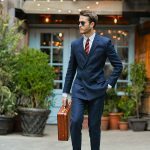 Your choice as to which wedding suit is perfect for you from the options above also depend on several factors related to the preparation of your event. For instance, if you and your bride to be have agreed on a classical suit, the slim fit suit by Ferrecci-Zonettie is unquestionably the best option for you. However, if you prefer a modern style, the slim fit navy-blue tuxedo option is available. Modern patterns are also trending these days. Choosing the right option for you will allow you to enjoy the best for your wedding.